Smoking is one of the hardest addictions to quit. For many people, it takes lots of tries to stop smoking for good. Some who are trying to quit smoking turn to alternatives including vaping, and these products are helping lots of ex-smokers stay off tobacco. Vaping is 95 per cent less harmful than smoking cigarettes, according to Public Health England (PHE). The British Lung Foundation agrees with this view. However, we need to be clear that it’s only as assessment of relative risk and vaping is not harmless. Vaping is less harmful for several reasons. Unlike cigarettes which burn tobacco, releasing harmful chemicals as well as nicotine, vaping involves heating e-liquid and does not involve combustion at all. Nicotine, which may or may not be in the liquid, is addictive, however the vapour that e-cigarettes produce does not contain tar and many of the other harmful chemicals in conventional cigarettes. Vaping should be an option for smokers who want to quit cigarettes and used as a smoking-cessation tool, not something to be promoted as a new trend. In the EU, we have quite strict rules about how vaping products can be marketed so they can’t be aimed at non-smokers or young people, and we also have limits on how strong the nicotine can be. In the US however, the rules are laxer, and here we have seen a rise of marketing on social media sites such as Instagram, which could conceivably appeal to children. We’re glad to see that UK regulation in this area is working. PHE recently carried out a review which concluded that young people are not taking up vaping as an alternative to smoking in any great numbers. We support this important review. 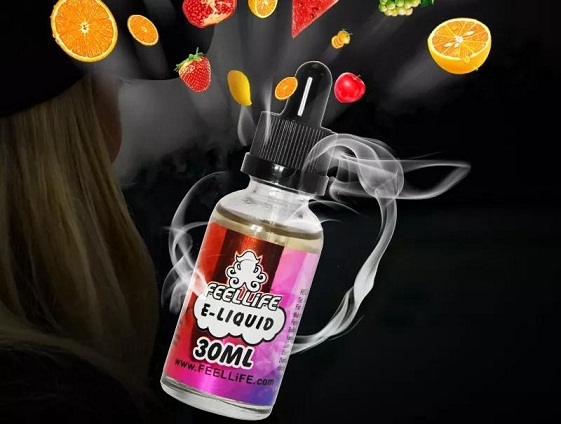 Flavouring of e-liquids is another area of interest. However, without flavourings, fewer smokers might switch to vaping and benefit from the harm reduction. Many people quitting smoking by vaping find the different flavours helpful for keeping them away from tobacco and will try different flavourings to find what they like best. There has been concern about whether flavourings make vaping more attractive to young people, so we need to keep a close eye on the numbers of young people regularly vaping to make sure this isn’t the case. Vaping has only been available in the UK since 2007, so we must not be complacent. We want to see continuing research which evaluates the long-term health risks of e-cigarettes. Vaping is a valuable part of our fight against smoking and is helping people to quit for good.